All told, on a 5,000 SF lot anyone with the money can build a house that’s over 5,200 SF. Because even in Seattle’s hot market houses that size would be crazy expensive, new infill or teardown replacement single family homes are more commonly around 3,000 SF. They also are almost certain to cost $1M or more. 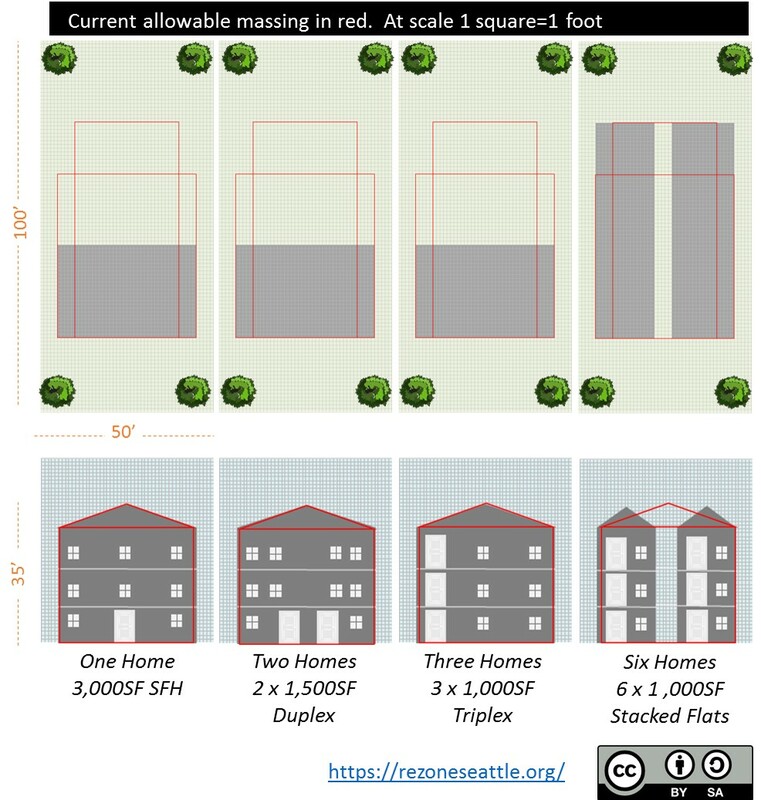 A straightforward way to allow more affordable housing options would be to retain the same basic lot coverage, height, and tree requirements while dropping the “single family home” restriction. A further step would be allowing sub-dividing large lots into sizes that were common prior to today’s zoning. Some real-world photos of multi-family housing at single family scale are here. Next Next post: Q&A: We’re building a lot! Is it enough?